Meghan Markle’s 16.5 foot long veil made a bunch of people think of unnecessarily long CVS receipts. On Saturday, May 19th, the world cleared a path to give Meghan, Duchess of Sussex, and her veil the room to ascend the steps of St. George’s Chapel at the 2018 royal wedding. And as she did, she revealed her Clare Waight Keller-designed Givenchy gown. Her staircase-sweeping silk tulle veil’s floral embroidery paid tribute to 53 countries of the Commonwealth of Nations. It took hundreds of hours of tireless sewing to create. CVS Chief Marketing Officer Rob Price once told the Boston Globe that they’re so long because of the chain’s loyalty program. Waight Keller gave the pharmacy zero credit for inspiring her. But it was only a matter of time before viewers made the connection. 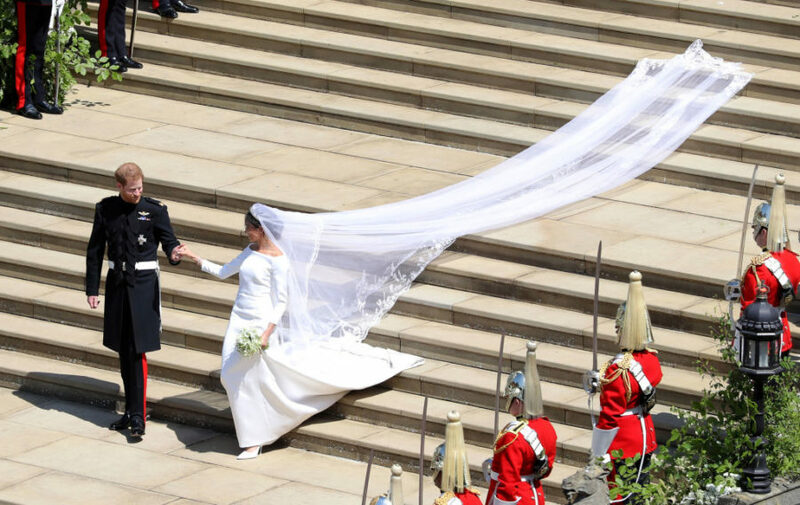 Here are some of the memes of Meghan’s veil transformed into a CVS receipt.